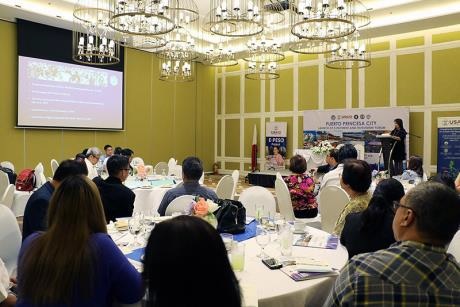 The city government of Puerto Princesa held an Investment Forum on March 28, 2019. Around 100 representatives from business groups, national government agencies, and the city government participated in the event. 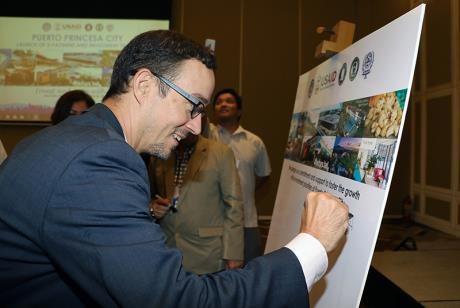 USAID Deputy Mission Director Patrick Wesner attended the event, and in his speech highlighted the private sector’s and civil society organizations’ participation in the development of an investment road map for the city to ensure inclusivity, accountability and sustainability of interventions. USAID’s Strengthening Urban Resilience for Growth with Equity (SURGE) Project is supporting the city government in investment promotion activities to strengthen the city’s key economic sectors and promote expansion and diversification of investment areas. During the forum, Philippines Board of Investments (BOI) Director for Investment Assistance Service Atty. Bobby Fondevilla talked about BOI’s many services available to help cities like Puerto Princesa in investment promotion. Meanwhile, Lorraine Banzuelo, head of the city’s Local Economic and Investment Promotions Office, presented the city’s investment priorities, namely tourism (destinations and convention centers), medical/health tourism and facilities, agriculture (cashew and seaweed production, fish processing and fish port), and real estate development. 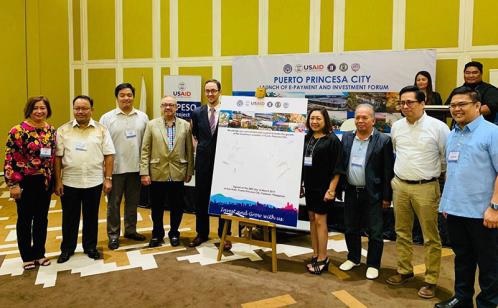 Representatives from big companies such as SITEL and Astoria Palawan shared their inspiring investment experiences in Puerto Princesa City, and encouraged business owners to invest in the city. The forum is part of a series of major investment promotion activities to boost the city’s investment profile in the region. The city government also launched its new electronic payments system for business tax and real property tax during the forum. USAID’s E-PESO Activity assisted the city establish the new e-payment system. Copyright © 2012 Official Website of Puerto Princesa City Government. Puerto Princesa City, Philippines. All Rights Reserved. Site maintained by City Mayor's Office-City Management Information System Division.